Welcome to the highest rated graphic design firm in the USA* offering affordable expertise in custom professional digital design and publishing. Designing your business logo, stationary, and business forms with a uniform look is paramount to your branding success. The DocUmeant Designs team of highly skilled designers can assist you to achieve the proffessional look and feel for all your branding design without breaking the bank. Specializing in print book and eBook publishing through our sister company, DocUmeant Publishing, DocUmeant Designs expertice in book formatting and cover designs is apparent in the quality of design presented. We are proud to say that our cover designs have been featured on national television and our client base is global in reach. Are you DIYer? Get Ginger's ebook Kindle Publishing, Yes, You Can on Amazon and learn the tricks she uses for every Kindle ebook she formats for only $2.99 USD! Get your copy today. 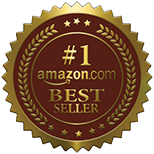 Amazon #1 Best Seller Seals now avalible for all your personal stock of books! For more details or to order click the image above. When it comes to designing your marketing materials hiring a competent designer is the most important choice you can make. 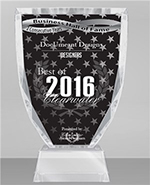 With expertice in both print and digital design the DocUmeant Designs team has the knowlege and skill to create your marketing pieces with a look and feel that you can proudly share. Website design is a constantly evolving concept. At DocUmeant Designs we pride ourselves on staying current with this ever changing environment. It seems like just a short time ago web designers were using simple code to create websites for the hungry public's insatiable appetite. Within each line of code it was necessary to add style elements. Then along came the wonderful CSS style sheets. Now when you, our customers, wanted to change the color of an element—like your main header—it became a simple change rather than searching and replacing every occurence. As time goes on the complexity of website design has increased. We now have to consider not just the desktop environment, but a whole host of digital devices. These are the services that we use and recommend. Get listed. Contact us today. In 1998 Ginger founded GraphInc which eventually evolved into DocUmeant, and the DocUmeant family of companies was born. "I finally called on Ginger Marks of DocUmeant Designs to help with a header for a website I was pulling together for a client who happens to be a graphic design professional herself. Within a few hours Ginger sent over her first concept." Professional, Creative, Efficient and Friendly! "Ginger is a remarkable designer. She is creative, hard-working, and very efficient. The most impressive quality that Ginger possesses is her ability to actively listen to what you need and then create something you can proudly use to represent your company or project." Stay in touch and aware of the news and tips we share in our social media and newsletters.